Owing to the huge success of Honda Civic’s previous editions, the 2018 model of the car has not been tampered with too much, and the 10th generation of the car is relatively unchanged. Since the 2017 model was significantly modified in terms of size and performance, the 2018 model has entered the running with only slight modifications. Regarding the interior, the cabins of the car have become slightly sportier. The compact vehicle has now become a mid-size car with a spacious interior and a larger trunk space. The car comes in the models of LX, EX, EX-T, EX-L, LX-P, and Touring. The lineup includes four-door sedans, two-door coupes as well as hatchbacks. The car is practical and fun to drive at the same time. The Civic feels upscale, more like a luxury car than an economy car. Coupes come in LX, LX-P, EX-T, EX-L, and Touring trim levels, while hatchbacks come in LX, Sport, EX, EX-L Navi, and Sport Touring trim levels. 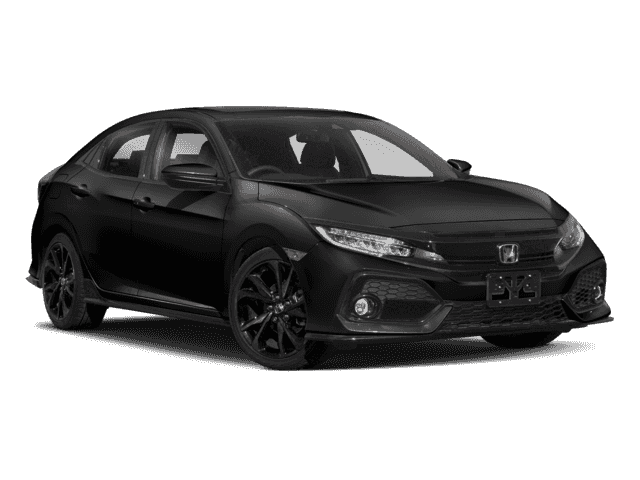 On the other hand, the EX-T model of 2018 Honda Civic features a 1.5-liter turbocharged l4 engine with a horsepower of 174 and a greater torque of 167 pound-feet. The sportier Si model of the car only features manual transmission. It has a 1.5-liter l4 engine with a horsepower of 205 and torque of 192 pound-feet. This is Honda’s first factory turbo Si. Finally, the new Type R model of the car is said to be the most powerful Honda model ever sold. It features a 2-liter powerful turbo engine with an impressive horsepower of 306 and a torque of 295 pound-feet. 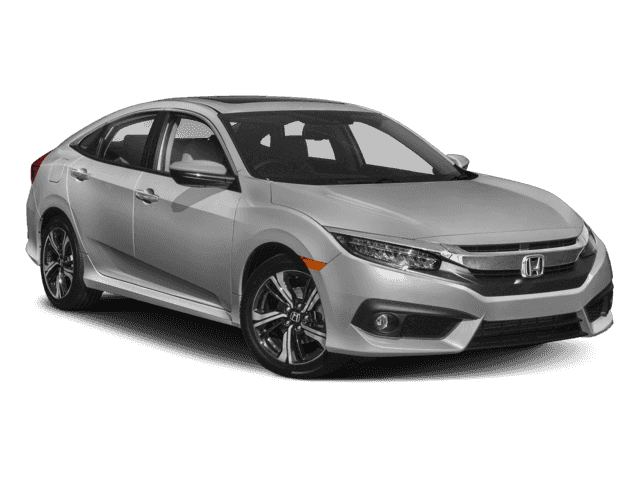 The car carries the standard Honda suite of active and passive safety systems that include autonomous emergency braking, blind spot monitoring, post-collision safety system, adaptive cruise control and lane-keep assist, and blind spot monitoring. All 2018 Civic vehicles replace traditional blind-spot monitors with the LaneWatch system that’s essentially a rear-facing camera displaying the footage of the blind spot on the center-stack screen. There’s traction control that provides stability on slippery ground, and also a standard backup camera as per the new ruling from the National Highway Traffic Safety Administration. Unlike earlier versions, when some of the mandatory features were charged extra for, newer cars will have these safety features as standard. There’s the provision of child safety seat accommodation, and the wide rear doors help make the installation process easier. The Honda Civic sports a fastback-like silhouette and shorter overhangs. The standard features of the car include push-button start, heated mirrors, LED headlights and taillights, a 5-inch central display, keyless entry, a sunroof, multi-zone climate control, backup camera, steering wheels audio controls, and heated front seats. The interiors feel refined and classy because of the quality materials and the superior construction. The spaciousness makes the interior comfortable, and there’s plenty of room to fit both people and cargo. The rear doors are big and open wide, making it easy to climb in and out. The spacious backseat can easily accommodate taller passengers. The hatchback option in the Honda Civic Sports model includes 18-inch wheels, automatic climate control and a leather-wrapped steering and shift knob. The ride quality is perfect, with incredible cabin quietness, comfort, and ease of driving. 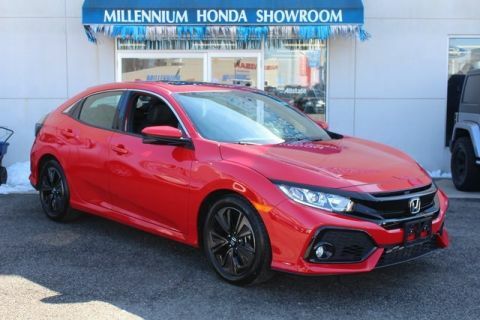 Visit Millennium Honda for a great deal on a new 2018 Honda Civic. 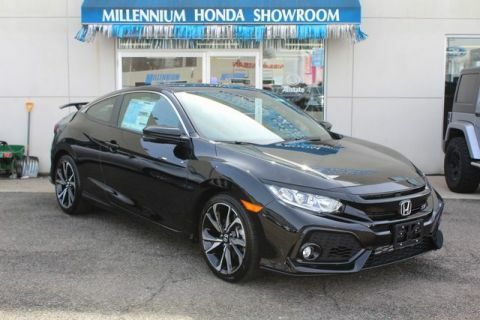 Our sales team is ready to show you all of the features that you will find in the Honda Civic and take you for a test drive in the Hempstead area. 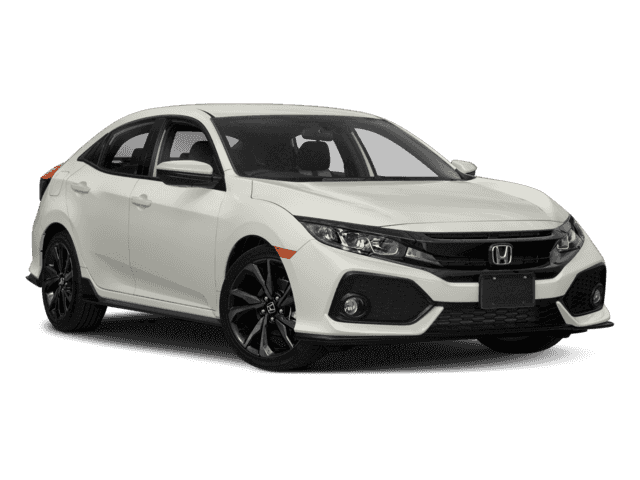 At our NY Honda dealership you will find competitive prices, a stocked inventory of 2018 Honda Civic cars and a helpful sales team. Stop by our car dealership today and take a 2018 Honda for a spin.